Honda, ‘the power of dreams’ is the world’s eighth largest Japanese manufacturer of automobiles, power equipment, and motorcycles. Honda is known for its high quality, innovative, reliable, and comfortable automobiles all over the world. The Honda Ridgeline is a sports utility truck manufactured by the Japanese company Honda and it is the only midsize pickup that comes in front-wheel drive, unlike a regular pickup which is rear-wheel drive. It features a dual-action tailgate and unibody construction and was introduced in 2005. It was initially produced in Ontario, Canada before being relocated to Alabama, USA. It saw production till mid-2014 until it was revived again in 2016. The Ridgeline was one of the most profitable vehicles ever sold by Honda. In 2013, Honda declared the plans for a completely redesigned 2nd generation Ridgeline and in 2016 released the model 2017 Honda Ridgeline. Let’s have a look at what the new Ridgeline has to offer. The first generation Ridgeline in the later years saw an average number of sales compared to the initial years when it came out. And according to Honda, that was because of the unconventional design of the pickup. For the 2017 Ridgeline, Honda has redesigned the pickup in a more traditional truck-like shape which is more pleasing to the eye. In other words, it is more rugged, sporty, modern, and stylish. Compared to the previous generation, it has a longer wheelbase, increased length, and a more spacious cargo bed. The height of the 2017 Honda Ridgeline has been decreased slightly and the width increased to improve the aerodynamics of the vehicle. 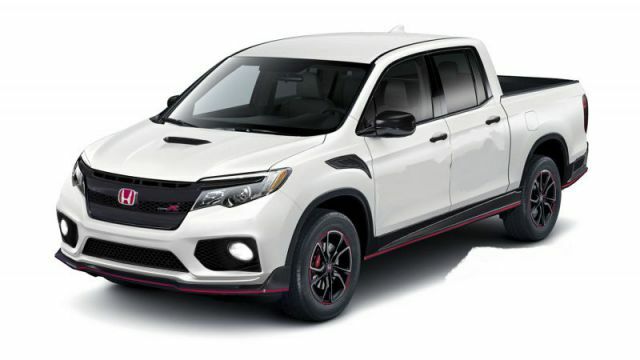 Additionally, the vehicle is equipped with a dual-action tailgate and the world’s first truck bed audio system which can be connected to a built-in AC inverter rated at 400 Watts. The vehicle is further equipped with daytime running LEDs as well as LED projection headlamps. The interior of the 2017 Honda Ridgeline is spacious and comfortable with the ability to fold up the rear seats so that you can place bulky items such as bicycles, a TV, backpacks, or golf clubs. The Ridgeline’s main storage location is the bed which is now four inches longer than its predecessor. In higher trims, the bed serves as a giant speaker with six affixed exciters. Although the sound quality is of a lower quality, it still functions fairly nice especially when you are camping and you need dance music. There is an infotainment system as well; two capacitive touch screens which deck the center console of the Ridgeline. One is a 5-inch screen and the other is an 8-inch head unit. The system is equipped with GPS, navigation, Bluetooth, maps, Apple CarPlay, Android Auto, and a host of other modern technologies that are prevalent in today’s vehicles. There is a total of eight speakers in the cabin with four USB ports, two on the dash and two on the second row. 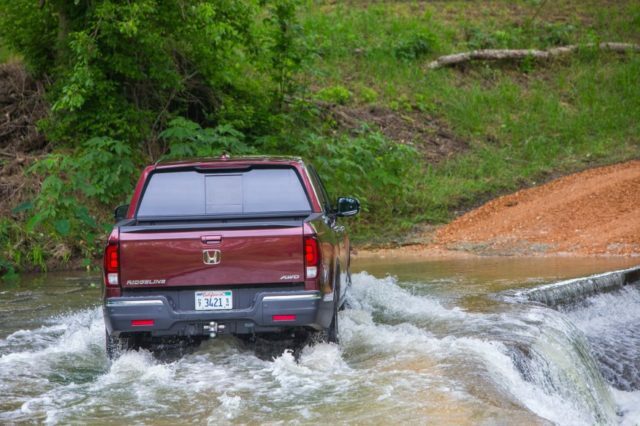 In terms of safety, the 2017 Honda Ridgeline doesn’t disappoint. There is cruise control, lane-departure warning, assisted steering, and a collision detection system with auto braking. A rear camera has become standard equipment with the choice of opting for Honda’s blind-spot camera on higher trim levels. 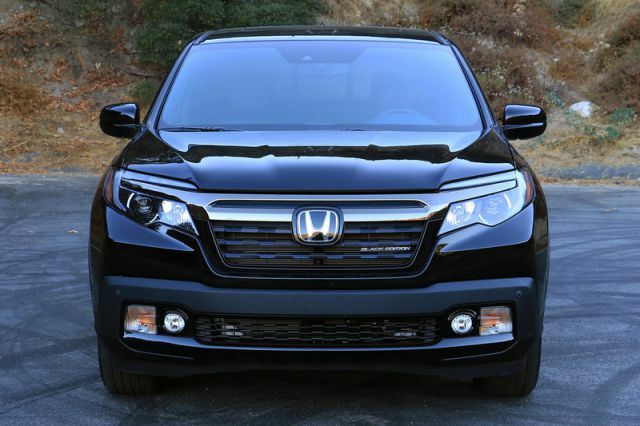 The new 2017 Honda Ridgeline features a powerful 3.5 liter i-VTEC SOHC direct injection V6 engine with a 280 hp. It will come either as a front-wheel drive variant or an all-wheel drive version with a six-speed automatic transmission. 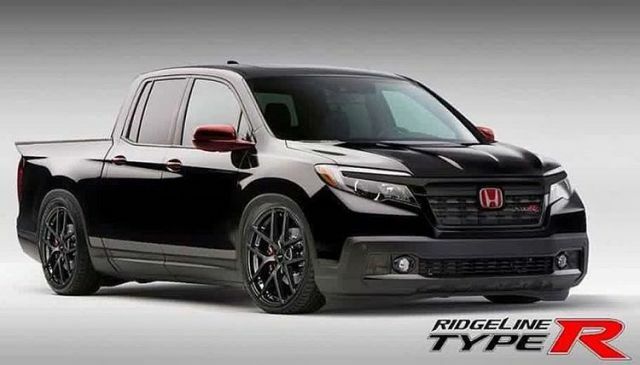 This engine configuration will power all the seven different trim levels of the Ridgeline. 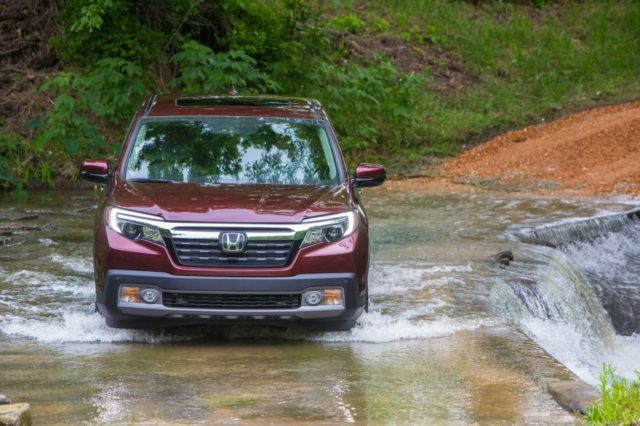 Compared to its competitors, the Ridgeline offers a smoother quieter drive, better acceleration, great fuel economy, and handles better at higher speeds on off-road conditions. 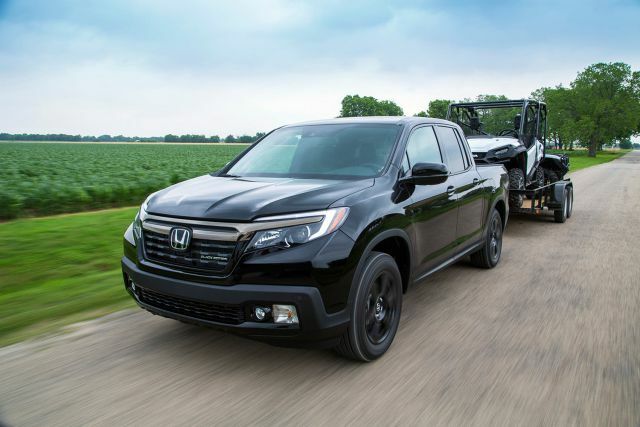 The Ridgeline has the capability to tow up to 5000 pounds if it is an all-wheel drive and up to 3500 pounds if it is a forward wheel drive. The price for 2017 Honda Ridgeline starts at US$30,400 and goes up till US$42,870 for the top of the line model. The Ridgeline will go on sale in June 2016.